In a realm that is slowly churning out more and more small cases aimed towards the ‘tiny pc’ fans, it’s refreshing for me to find a case with some room. 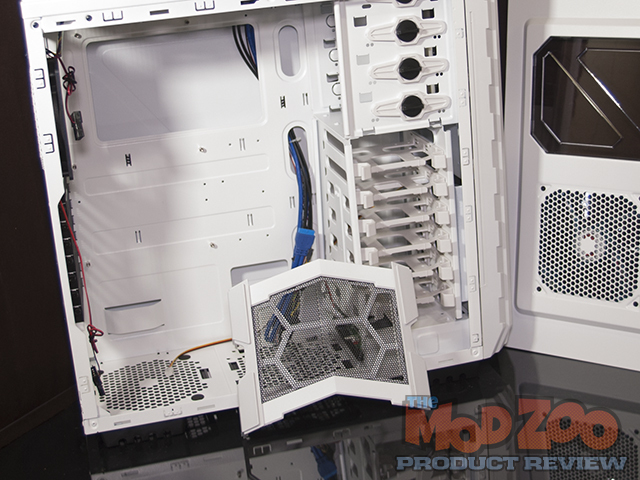 The AZZA XT1 case is a beast in size, looks sharp out of the box and comes with plenty of airflow to start with. The case is designed to accept Micro ATX, Full ATX up to XL-ATX motherboards, has plenty of elbow room for the larger video cards that are on the market and can house a TON of hard drives. Let’s start off by taking a look at AZZA’s reported specs. Add the included fans and this is a rock solid start. Yes, AZZA’s case designs are subject to personal tastes, but their build quality and selection of internal components is VERY good. Props to Drougnor for his first review, and great job too! Nice review man, I like big cases and I cannot lie. I have always found Azza cases unique and having owned one in the past I know their quality is not bad. This case looks nice to me, and given its unique looks will make fir a great mod or build.